Q. Breaking the news to an owner that a dog has heartworms and needs treatment isn’t easy, and explaining the costs can compound the difficulty. How do you justify the cost of treatment to a client who has trouble paying for it? A. No question, heartworm treatment is expensive. 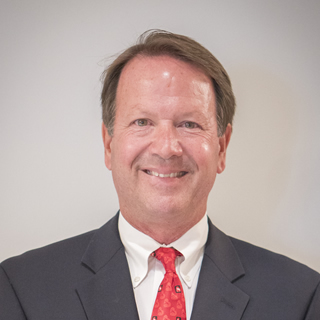 In my southern Alabama practice, I work with many clients and rescue groups with limited resources, so I understand how difficult it can be to discuss these costs with clients. My approach is to explain that I’m recommending what’s best for the pet’s long-term health. Beyond eliminating heartworm infection, the disease caused by damage to the cardiopulmonary system can be long-term. The treatment protocol we use can make a difference in minimizing disease over time. What are the Implications for Heartworm Infection? Q. 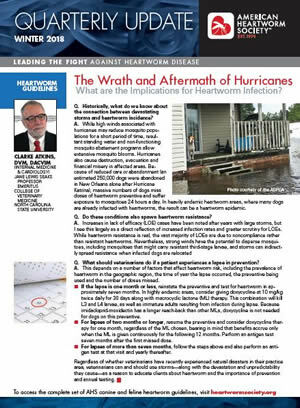 Historically, what do we know about the connection between devastating storms and heartworm incidence? A. While high winds associated with hurricanes may reduce mosquito populations for a short period of time, resultant standing water and non-functioning mosquito abatement programs allow extensive mosquito blooms. Hurricanes also cause destruction, evacuation and financial misery in affected areas. Because of reduced care or abandonment (an estimated 250,000 dogs were abandoned in New Orleans alone after Hurricane Katrina), massive numbers of dogs miss doses of heartworm preventive and suffer exposure to mosquitoes 24 hours a day. In heavily endemic heartworm areas, where many dogs are already infected with heartworms, the result can be a heartworm epidemic. While heartworms are a tough opponent, knowledge is a powerful weapon. 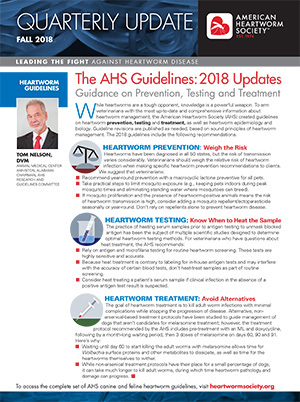 To arm veterinarians with the most up-to-date and comprehensive information about heartworm management, the American Heartworm Society (AHS) created guidelines on heartworm prevention, testing and treatment, as well as heartworm epidemiology and biology. Guideline revisions are published as needed, based on sound principles of heartworm management. The 2018 guidelines include the following recommendations. Heartworm treatment can be time consuming and expensive, causing some clients to balk when presented with a treatment plan. 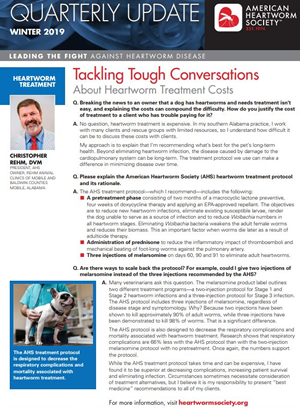 Because heartworm is both serious and progressive, I advise clients that treatment is no place to cut corners. Q. 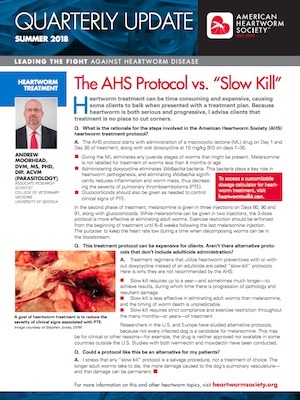 What is the rationale for the steps involved in the American Heartworm Society (AHS) heartworm treatment protocol? A. The AHS protocol starts with administration of a macrocyclic lactone (ML) drug on Day 1 and Day 30 of treatment, along with oral doxycycline at 10 mg/kg BID on days 1–30. Administering doxycycline eliminates Wolbachia bacteria. This bacteria plays a key role in heartworm pathogenesis, and eliminating Wolbachia signifi- cantly reduces inflammation and worm mass, thus decreas- ing the severity of pulmonary thromboembolisms (PTE). Glucocorticoids should also be given as needed to control clinical signs of PTE. Why Don’t Clients Give Heartworm Preventives? I recently researched medication adherence in human patients2 in order to better understand why people don’t take their own medications. 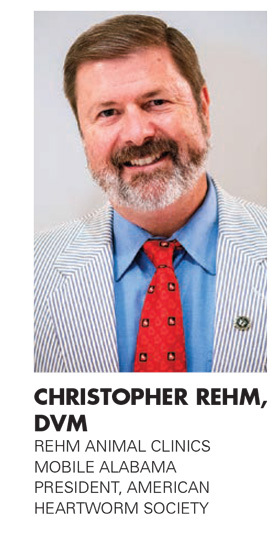 In the process, I learned that the reasons my clients don’t give pets heartworm preventives as directed are similar to the reasons they skip their own cholesterol, diabetes and blood pressure medications. 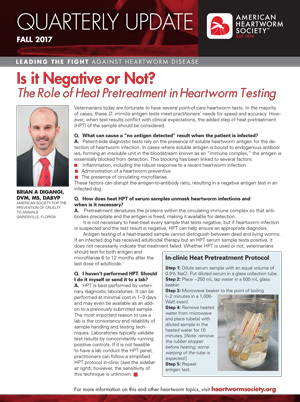 Read more: Why Don’t Clients Give Heartworm Preventives? Q. The American heartworm Society (AHS) and the Association of Shelter Veterinarians (ASV) recently released a set of best practices for transporting dogs. Why? A. The AHS and ASV saw a need for heartworm-specific transport recommendations to guide veterinarians and animal shelters. Heartworm disease has become more widespread in the U.S. over the past several decades, due in part to the increased movement of heartworm-positive dogs to regions where heartworm disease was once uncommon. When mosquitoes feed on a microfilaremic dog, they become heartworm vectors capable of transmitting heartworms to unprotected pets. Veterinarians today are fortunate to have several point-of-care heartworm tests. In the majority of cases, these D. immitis antigen tests meet practitioners’ needs for speed and accuracy. However, when test results conflict with clinical expectations, the added step of heat pretreatment (HPT) of the sample should be considered. Q. What can cause a “no antigen detected” result when the patient is infected? Is heartworm incidence up or down in your practice area? 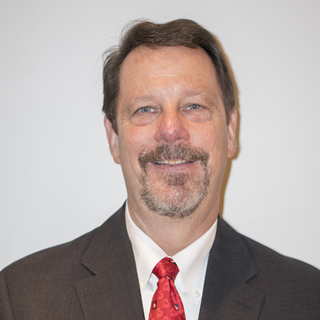 The latest American Heartworm Society Heartworm Incidence Survey has uncovered both challenges and opportunities for veterinarians in practice. On one hand, heartworm incidence has inched upwards in the three years since the AHS survey was last conducted. On the other hand, the power to reverse this upward trend is, quite literally, in our hands. Q. I’m a big believer in heartworm prevention, but I find myself repeating my “heartworm 101” lecture over and over to clients. Is it worth it? Read more: Is There an Echo in Here?